Nightlife on the streets of downtown Fort Pierce is on the uptick, nudged up by the move of Sailfish Brewery to the former J.C. Penney building at Avenue A and North Second Street. Even before the Christmas lights at Marina Square drew crowds of people downtown in the December evenings, larger groups of people could be seen visiting the various bars and restaurants scattered about the downtown corridor. The two use social media to promote business and keep customers abreast of musical acts that are appearing at Cobb’s Landing or the Tiki Bar. The two agreed that the influx downtown might be due to the economy since more people are back to work in the area. O’Sullivan’s Pub, the city’s only Irish pub, has an open-mic night for new artists and the house band, Rivertown, plays frequently at the Avenue A drinking establishment. Burke books various musicians and bands for Cobb’s Landing and the Tiki Bar. The 2nd Street Bistro also books bands and musicians, while Sailfish Brewery brings in bands to play on its open-air patio. There is no dearth of entertainment for anyone looking forward to a night downtown. Even the small restaurants are seeing an increase in evening business. Allison O’Connor, one of four partners in the Taco Dive restaurants along the Treasure Coast, laughed as she remarked that she went to the downtown Taco Dive at 8 p.m. for a meeting and had to wait for a table. Although the cold spells might have deterred people — mostly Floridians who hibernate when the temperature drops below 60 degrees — businesses open in the evening have experienced an increase in traffic. With the usually slower summer months over, owners are welcoming winter visitors who frequent the area. One new business is Pierced Ciderworks, which will be opening up at 411 N. Second St., the space formerly occupied by Sailfish Brewery. The wooden buildings that housed Fort Pierce photographer Harry E. Hill’s studio and home in the late 1800s and early 1900s will be a bar/tasting room offering handcrafted hard cider with an edge. Pierced Ciderworks plans to brew ciders on-site, working within the confines of its historical structures. Owner Jon Nolli said he hopes to open in February. For those in “mixed marriages,” Pierced Ciderworks will have 12 taps; 10 will be for cider and two, for beer. Nolli also said they will stock a large variety of beers in bottles and cans along with wine. The company’s Facebook page describes its plans and cider-lovers should check the page for an actual opening date. As nighttime business is improving, merchants are still looking for foot traffic during the day. One bright spot is the new ownership and changes at the Sunrise City Cafe on Orange Avenue. Jose Ruiz, barber and owner of LeGits Cuts on North Second Street for the past three years, and his wife, Nichole Parker, recently bought the small restaurant space. A histology technician at Lawnwood Regional Medical Center, Parker said she and her husband used to eat in the restaurant when she was downtown. When they saw the place was up for sale, they jumped at the opportunity to buy it. They started offering a delivery service for those who cannot leave their offices and have seen many who work at the St. Lucie County Courthouse come in for lunch. Sunrise City Cafe is open seven days a week from 6 a.m. until 2 p.m., serving breakfast and lunch. One added feature is The Mug Club, although the deadline for joining is approaching. After purchasing an insulated mug, customers will be able to fill the mug — but only the mug sold at the restaurant — for free at the cafe’s coffee/tea/soft drink station for one year from the date of purchase. “We will put out sugar and cream for them to use,” Parker added. The owner of a boutique shop in the Galleria of Pierce Harbor said she is waiting for the winter traffic to improve. Melanie Hayling George opened Melita in April and hopes for more customers to discover her shop, which features the Matouk line of custom linens, the Vietri line of handcrafted dishware and spa products and gifts for men as well as women, along with Melita soaps, all made of natural ingredients and its No.1 signature item. George graduated from Fort Pierce Central High School in 1977. Like most youngsters growing up in Fort Pierce at that time, she couldn’t wait to leave for college. She entered Florida Atlantic University as early as possible, graduating with a degree in marketing. She went right to work for Maas Brothers, becoming an area sales manager in the Tampa-Lakeland area right out of college. She and her husband, John George, decided to move back to Fort Pierce last year when her father turned 90. She decided to open the boutique and named it after searching in the Bible and reading in Acts 28 of St. Paul’s journey to the island country of Melita (now known as Malta). The fact that the small country had water and a shoreline, along with the handcrafted items of that time, drew her to the name, she said. She also carries a line of jewelry fashioned from silver spoons. Melita is open from 11 a.m. to 6 p.m. Monday through Thursday, and from 11 a.m. to 8 p.m. on Fridays and Saturdays. The shop is closed on Sundays. The owners of Adams Ranch are preparing to open two restaurants in the Galleria: Rooster in the Garden and Braford Steakhouse, which will feature Adams Ranch Natural Beef, as reported in the recent holiday issue of Indian River Magazine. The Braford Steakhouse is named for the cattle developed by Bud Adams on the family ranch in western St. Lucie County. Rooster in the Garden will be a farm-to-table restaurant serving food that is grown locally. Owner Jose Ruiz said he moved to this area from Miami 11 years ago. After spending some time studying barbering, he opened his shop three years ago. With nine chairs and seven barbers on staff, the shop is extremely busy. Ruiz organized a Downtown Fort Pierce Toy Drive for each of the last three Christmases, collecting toys for the children who are clients of Suncoast Mental Health Center and Mustard Seed Ministry. Ruiz and his wife, Parker, are trying to form an alliance of downtown businesses. “We are having a meeting with the city marketing office, the planning department and Main Street Fort Pierce on Jan. 31. We want to form an alliance so we can all work together,” he said. Kane, who has been able to run her other business, Karen Kane Interiors, from her home said she has no idea when the work will start on the building, adding that she is waiting to hear from her insurer and knows the owners of the building are, too. The sad thing was that all of her decorating samples were burned in the fire, Kane said, but she has been able to get on the computer and find ideas for her customers. The colors are pretty accurate, she added. Kane added that she hopes to have a fire sale at some point with the items that were salvaged. With the area east of the tracks holding its own, city staff are working on a way to get people and arts businesses to the newly named Peacock Arts District west of U.S. 1. Local artists painted large terracotta pots purchased by the City of Fort Pierce to line Orange Avenue in the arts district. The pots, each holding a southern red cedar, were unveiled in a dedication ceremony in October. Colorful flags on street light poles show its designation as the arts district. Enhanced lighting is planned for the area, but there is still a lot of work to be done to get the people to cross U.S. 1. The new Causeway Cove Marina features 112 boat slips. Outside downtown Fort Pierce, the expansion of the Port of Fort Pierce and the construction of a new 112-slip marina on South Beach represent the most recent boons to the city, along with the location of a new grocery store from a national chain. By far the biggest project is the port expansion. St. Lucie County is finalizing the $25 million purchase of the port, which includes the 12-acre Indian River Terminal property. The county plans to hire a company that will refurbish mega-yachts at the site, providing an alternative to similar overcrowded sites at ports in South Florida. County Commissioners on Jan. 23 voted to hire Port Canaveral’s former CEO, Stan Payne, as executive director of the airport and seaport at a salary of $168,000 a year. Payne for the last three years has been a $150,000-a-year-consultant working with County Administrator Howard Tipton on developing the airport and port. Payne is widely credited with expanding Port Canaveral’s cruise ship business. 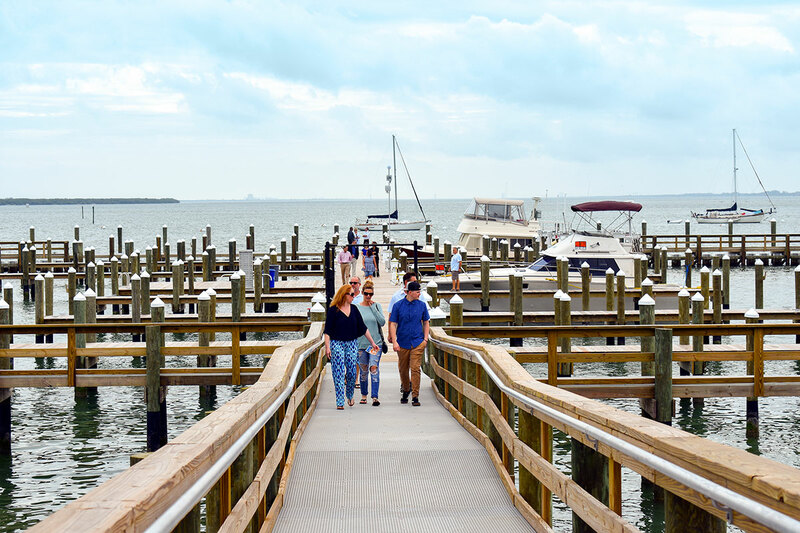 Meanwhile, the nearby Causeway Cove Marina, at the southeastern corner of the Peter P. Cobb Bridge, opened in January, with 198 slips and spaces for 12 luxury recreational vehicles. 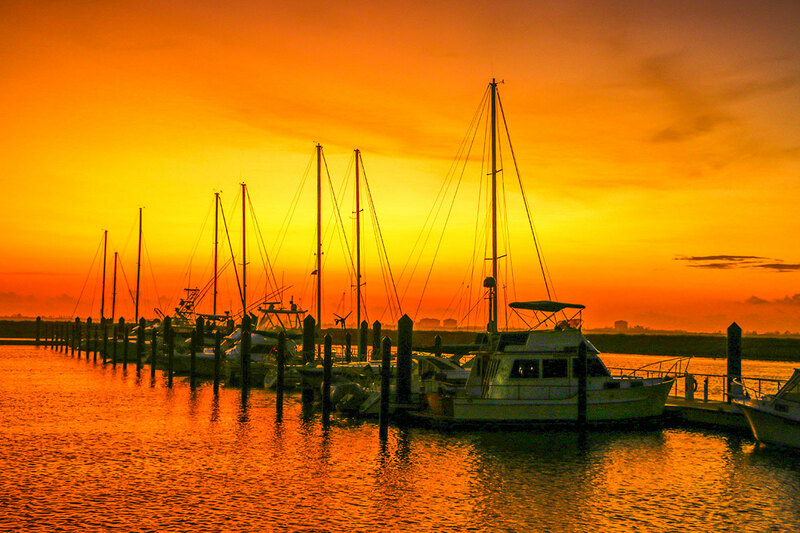 The marina and RV park are situated on 18 acres of a former city-owned mobile home park, which was demolished after 2004 Hurricanes Frances and Jeanne. Outside the downtown area, Fort Pierce also benefited in early December from the opening of an Aldi grocery store at 1412 U.S. 1.